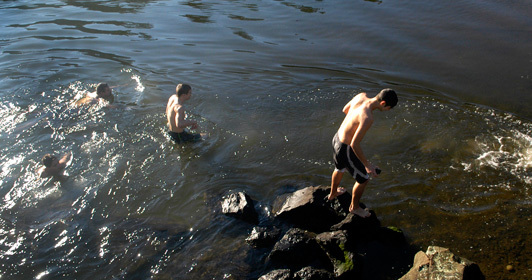 Welcome to the wonderful little community of Olalla, home of the famous Polar Bear Plunge (photo above), Olalla Americana Music Festival and best-selling author Gregg Olsen. Located on the waterfront of the south Kitsap Peninsula overlooking Olalla Bay, Puget Sound and Vashon Island, Olalla is a perfect rest stop for visitors touring the area by car, bike or boat. See below for more information about the town, events and winery. Olalla is anchored by the historic Al's Market, the only business in town. The market serves as the community grocery store, cafe, pizza parlor, pub with brews on tap, library, bulletin board and visitor info center. Its enclosed waterfront patio has a toasty fireplace, wooden tables and public rest rooms. 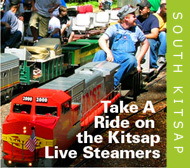 It's a convenient, friendly, year-round stop during a tour of the scenic shoreline along the east side of the southern Kitsap Peninsula. Stop by for a cold one. 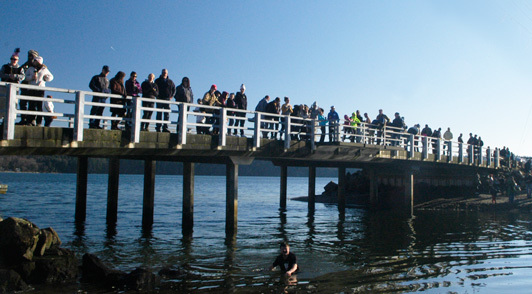 Olalla Bay Bridge during the 2015 Polar Bear Plunge. Swimmers enjoying a dip in Olalla Bay and bonfire on the beach. 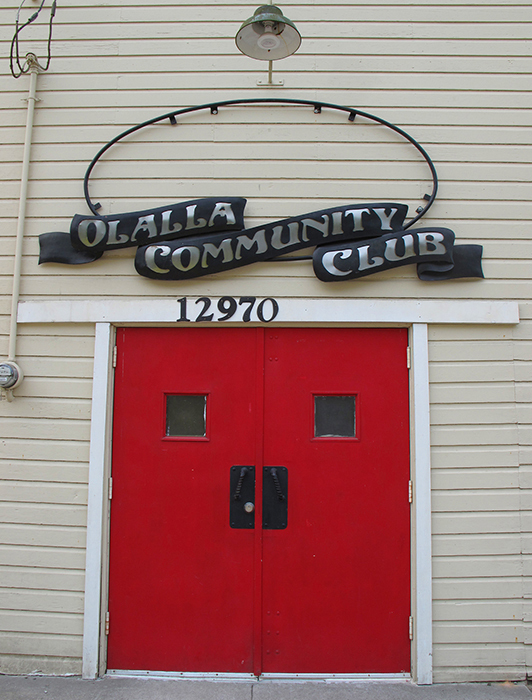 The Olalla Community Club is the heart and soul of the area. It's fast becoming an important and popular destination for world-class musical events and musicians. See the box at right for more details. Following in the tradition of the Olalla Americana Music Festival, the Olalla Community Concert Series is establishing itself as one of the best music venues in the South Sound and the Kitsap Peninsula. Visit its website to learn more. 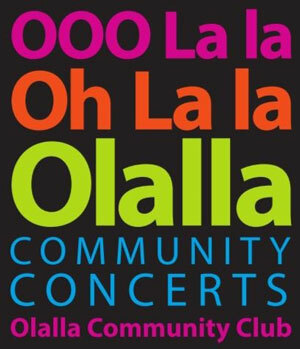 All concerts are part of a benefit for the preservation of the Olalla Community Club, with a requested donation of $15-$20 or whatever you feel you can afford. Held in August, the Olalla Americana Music Festival has become one of the most popular musical events on the Kitsap Peninsula and around the region. It features local and national bluegrass musicians, folk and jam bands, great food, arts and crafts and a wide variety of activities for children and the legendary Berry Pie Contest. Click above for details. 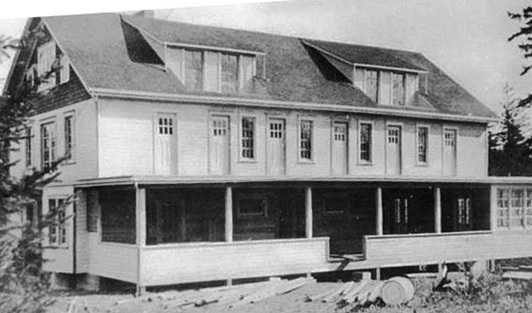 In 1911, two wealthy British heiresses came to a sanitarium near Seattle to undergo the revolutionary fasting treatment of Linda Burfield Hazzard. It was supposed to be a holiday for the two sisters. But within a month of arriving in Olalla, things changed. Click above to learn more about this historic and macabre story from master storyteller and international author Gregg Olsen. Click here for an audio clip of interview with Gregg on KNKX radio about the infamous event. 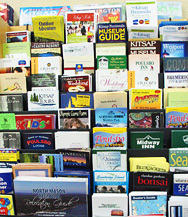 Click here for more about this famous Kitsap Peninsula author Gregg Olsen.